ESL job Central America || Teach English in Beautiful Costa Rica! Teach English in Beautiful Costa Rica! 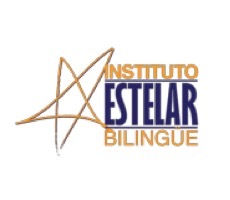 The vision of Instituto Estelar Bilingue is to be truly outstanding - pertaining to the stars (the meaning of Estelar) - both in teaching and learning languages, as well as making an impact on our community. We believe in helping people achieve their highest potential and are working to build an intentional community of teachers and staff who are committed to the Estelar lifestyle of teaching, learning, and volunteering. -A monthly gross salary of approximately $465 that corresponds to 24 hours per week of teaching and/or completing projects. This is a Costa Rican wage for working part-time. This amount is enough to pay for food and some travel on a budget. -Health Insurance: 10.34% is deducted from each paycheck, and this covers health insurance, taxes, and retirement (it is like social security). 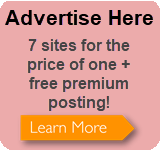 -Free furnished housing in a shared living space. Some teachers share rooms and some have private rooms. The teacher houses have 1-2 people in each, and they all have Internet, Cable TV, utilities, and basic furniture supplied. -Paid vacation days (1 day for every month worked): these days cannot be taken until a teacher completes the first three months of work. -A yearly bonus called Aguinaldo paid in December: this is calculated by taking the total earnings for the year (before taxes are deducted) and dividing them by 12. -Assistance with opening a local bank account. 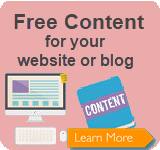 -Paid initial training, a free mentor program for new teachers, and ongoing support and training throughout the year. -Sundays and Mondays are free: teachers work Tuesday through Saturday, teaching the same group courses each week with some possible variations of private classes. -English teachers have access to weekly 1-hour free Spanish group classes for teachers and/or our Immersion Spanish courses (20 hours of class in one week). -Several opportunities each week to volunteer in the community and make a difference. One such opportunity is Club A, a non-profit that helps underprivileged kids in a neighborhood just outside of Liberia. See more information here. -Living in Guanacaste where it is always sunny and warm. We do not receive nearly the amount of rainfall as other parts of Costa Rica. Gorgeous beaches are accessible by public buses and only 40-90 minutes away. Liberia is not a touristy town, so you will practice your Spanish and integrate with the locals. You can walk everywhere, but having a bike is helpful. The international airport is 10 minutes outside of town.